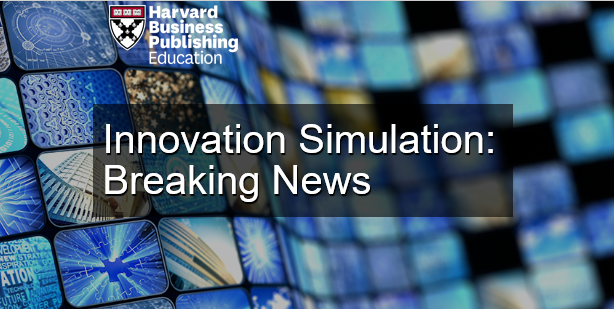 From the Creators of The Innovation Navigator, Innovation Simulation: Breaking News is a 20-30 minute simulation in which students manage the innovation process for The Citizen Sun, a struggling newspaper company. The Simulation begins with a mandate from the CEO to develop new ideas to counter the Sun's declining sales, subscriptions, and web traffic. Working with constrained time and budget, students must generate a list of potential innovations and then submit the best available idea to the CEO.